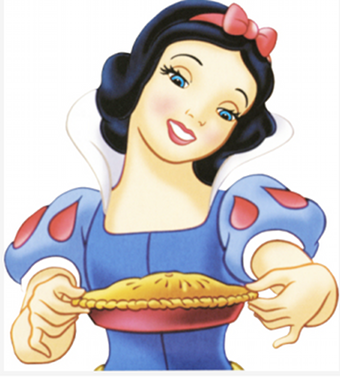 Who Should Play Snow White? Not one but two new "Snow White" movies are in the works, with all kinds of weird casting being batted around. Who would you choose? Naturally, both retellings are "nontraditional." First up is Universal's "Snow White and the Huntsman" whose plot seems to have nothing to do with the fairy tale: "A huntsman is ordered to take Snow White into the woods and kill her but instead he chooses to let her go and the two are evidently chained together for part of the movie as they make their escape." So, "Snow White" meets "The Defiant Ones?" Ok.
For the Wicked Queen, they want — wait for it — Charlize Theron, which we guess we can see working: she can certainly do imperious, and the Queen is pretty glam, as villainnesses go. We don't know if she can act, but the Elvis pedigree seems somehow appropriate in a dark fairy-tale. The star of Julie Taymor's Tempest, this newcomer certainly looks like the illustrations most of us grew up with. Already a TV star in Australia, Heathcote won the Heath Ledger Scholarship for newcomers. A Swedish TV star, Vikander would be a true newcomer to American audiences. As the name implies, the other project 'The Brothers Grimm: Snow White' probably at least acknowledges the existence of magic mirrors and crystal coffins. We don't know as much about it — it's "an edgy, modernized re-imagining that will hew closely to the Grimms' original German folk tale" — but for the Wicked Queen, it seems they're going after Julia Roberts. Which could be interesting. And there are rumors of Natalie Portman in the title role which, while it might type-cast her in sinister fables for a while, would be pretty hard to top.